Buy More Wired Sheer Glitter Grids Save More! This Silver Glitter Grid Ribbon has a fun squared pattern that adds depth and sparkle to your packaging. Great for Christmas decorating too! Geometric modern square glitter pattern adds lustrious sparkle for Christmas and everyday use. The beauty of this ribbon is the see-through quality of the metallic grid so the ribbon appears as doublesided! 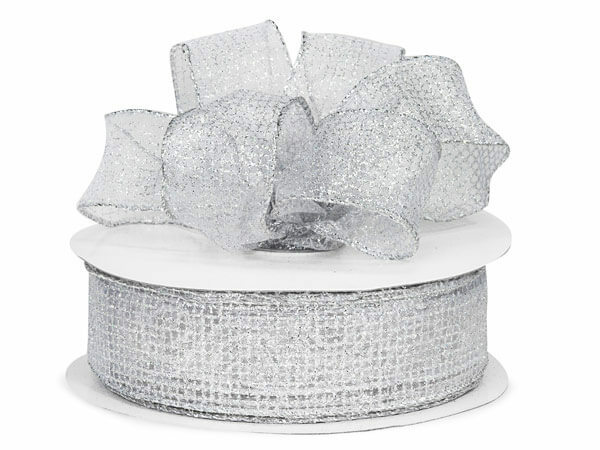 Bows shape easily with this polyester and wired edge ribbon.